This week we asked you to share your sticks with us! Jennifer from True Confessions of a Real Mommy is just tickled at her little girl. 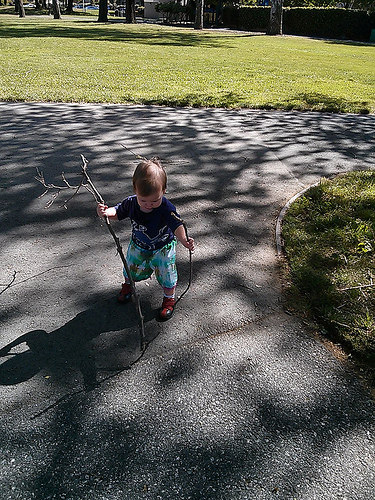 What’s better than one stick for imaginative play? Two! 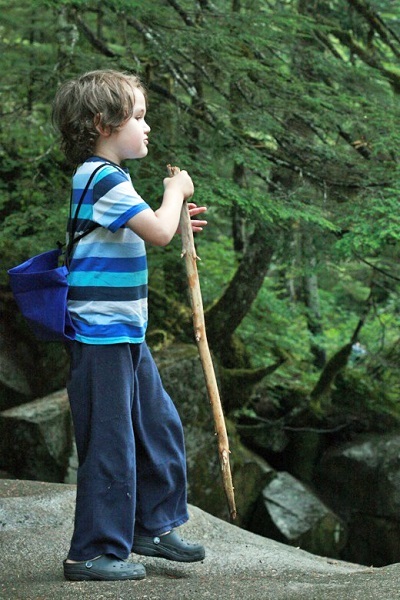 Mikko was quite pleased to find a walking stick just his height for a hike to a waterfall. 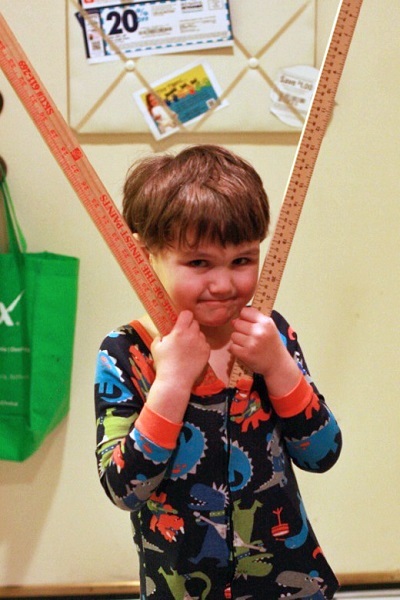 Apparently yard sticks make ideal robot arms. 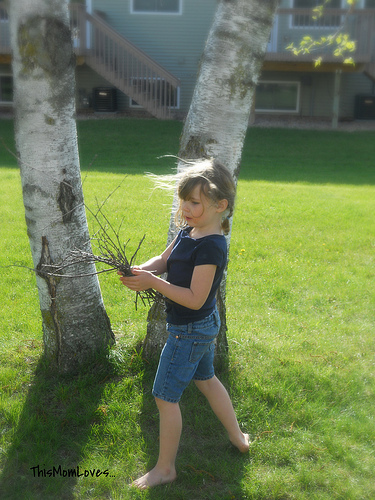 Sasha (at age 2), helping to collect kindling at her first camping trip. 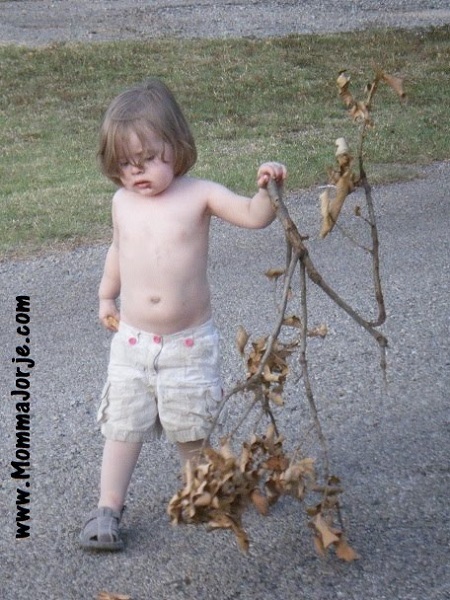 Tell us: How does your family interact with sticks in the home and in nature? Love all these stick pics! 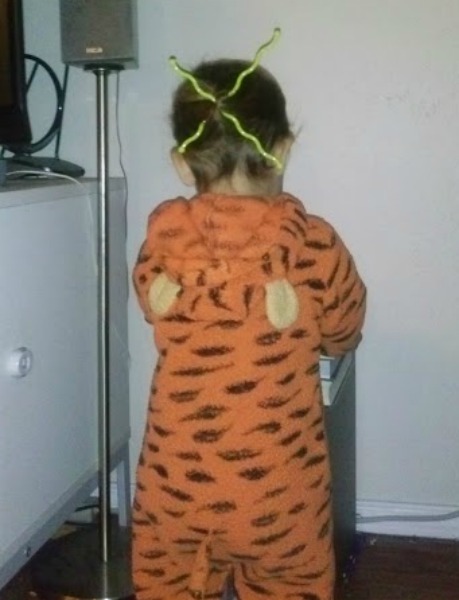 It’s so often the simple things that make kids happy. Cute pics!! It’s funny, you can buy a kid the most expensive toys in the world, and their favorite thing to play with will still be sticks, dirt, and rocks.